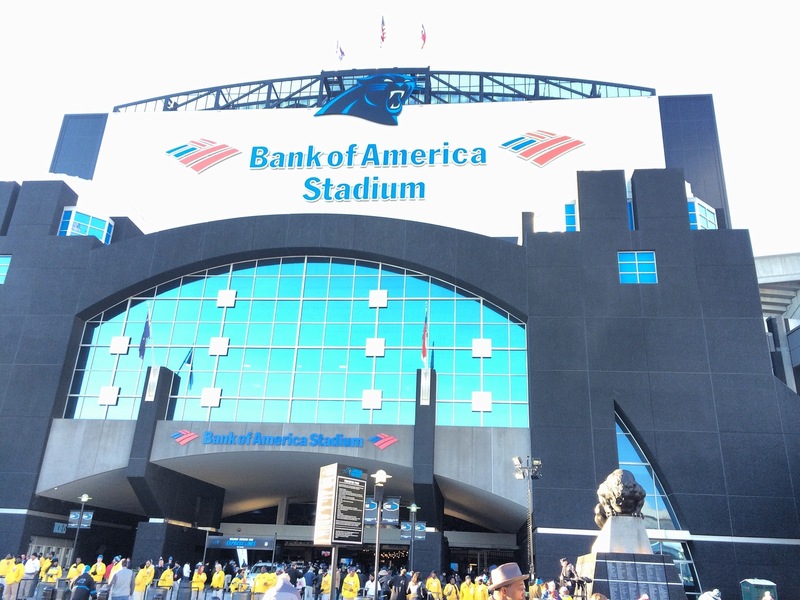 The Carolina Panthers are in the middle of a five-year renovation project that kicked-off two years ago. What should you expect this season? The third phase, completed this summer, focused on improving security and WiFi, and increasing the speed of food service. Their main goal is to get Panther fans through the line and back to the bowl to cheer on our favorite team. Pepsi dispensers took up a lot of space. 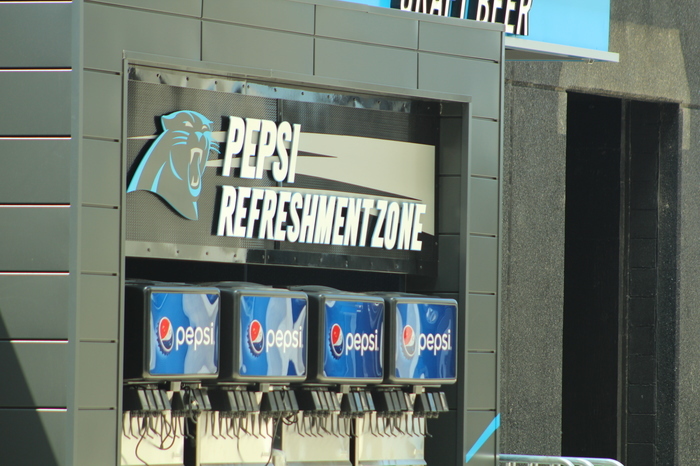 Now installed are 12 all-you-can-drink dispensers on the 500-level. This allows 134 more points of sale. Wow, that’s a lot. This will get people through the lines much quicker. Last season, the team ran a test to see how effective digital concession menus were. 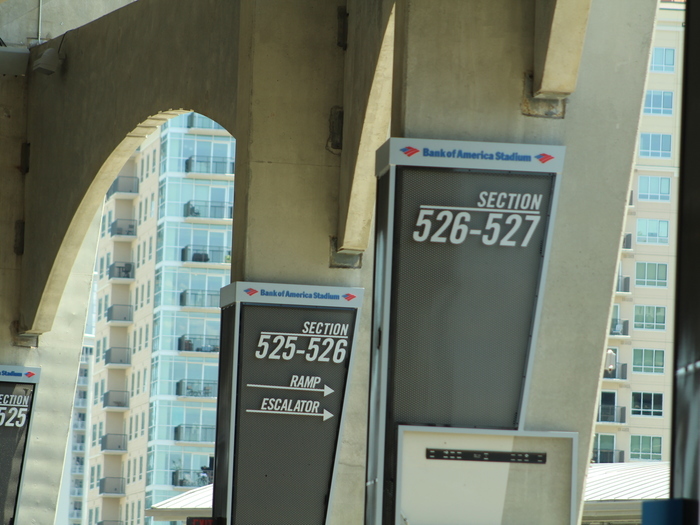 Studies came back that 30 more people were able to get through the line versus the standard concession board the stadium had in place for the last 21 years. 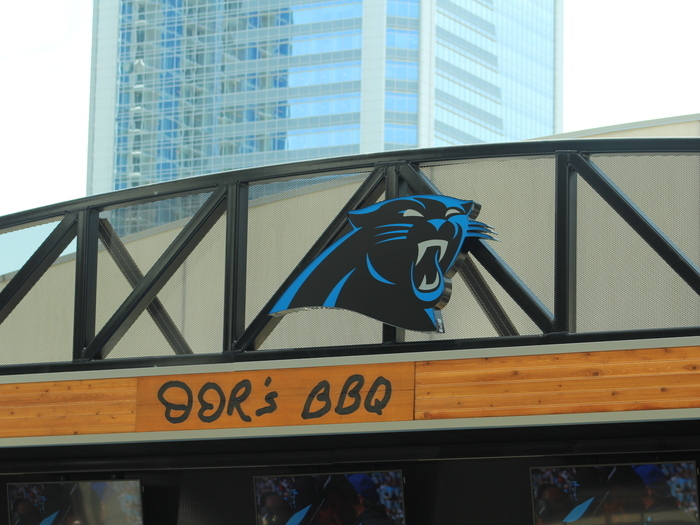 The signature food venue, JJR’s BBQ, got an upgrade as well. They have differentiated this food spot by implementing the wood paneling. 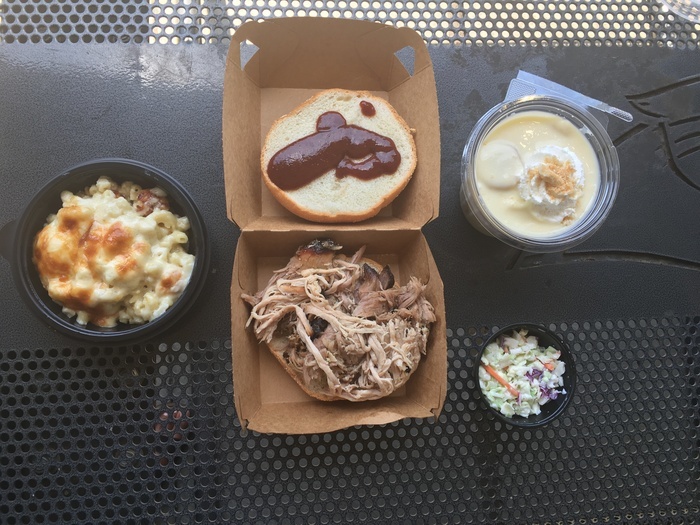 To give fans more of a creative variety, all barbecue production is moved to the front so you can see the chefs making your favorite pork sandwiches. The chef says he expects they will produce somewhere near 80,000 to 90,000 pounds of barbecue during the season — the fans really love it. In hopes of further cleaning the concourse and creating a better game day experience, the Panthers also put up new directional signage. If all goes well in the upcoming season, this Level- 500 design will be implemented on the 100 level as well. 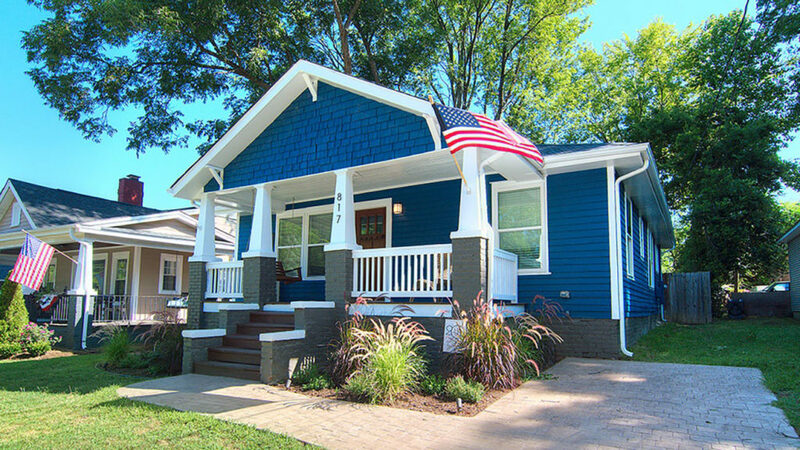 The Phase 3 projects are estimated around $26 million.